Hello Readers and welcome to my Disney College Program Blog. This blog will be all about my experience with the program from the application process to my check-in and arrival at Disney to my work experience in Disney World and everything in between! Each post will (hopefully) remain themed around a Disney film, attraction, or show for all those Disney lovers out there! Please feel free to comment, ask questions, and give suggestions for posts. Thanks for reading - enjoy! 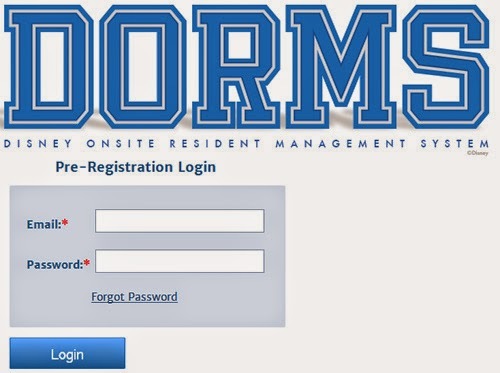 Approximately ten days before arrival dates, DCP participants receive an e-mail titled "DORMS" (Disney Online Resident Management System). This e-mail includes your opportunity to register for Disney sponsored housing on Disney Property! It's SCARY how exciting it is to finally get to register for where you live! Before recent times, Disney used to have a first come first serve basis for room preferences upon arrival. Now everything is online! Much less fuss! Participants receive two e-mails. One with a housing ID number and the link for the website and the second with a password. Once the e-mail is received, click on the link and log-in with the information given to you! After logging in, participants must fill out information about themselves include house address, e-mail address, phone number, etc. If you are bringing a car to the program, you will also have to fill in your license plate and car type. 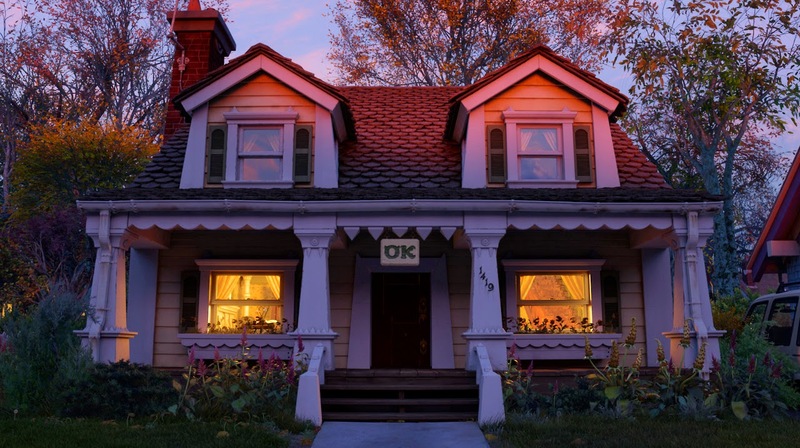 (Disney probably wants to keep track of your plate number in case you decide to break in to any big name power companies and have your mom drive the getaway car. Hey, it's happened before!) You'll also fill out some emergency contact information. The trickiest part of DORMS is the preferences and roommate section. You can choose to "be adventurous" and have a roommate at random or you can choose roommates in advance. I'm pretty adventurous, but I was one hundred percent not living with someone I didn't choose myself. 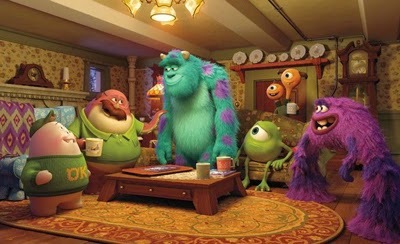 I found 5 roommates over the Disney Facebook pages. 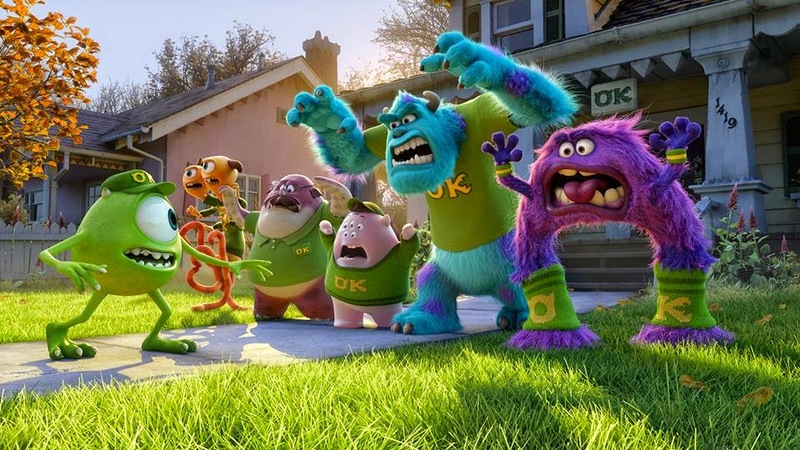 Together we make up the OOZMA KAPPA FRATERNITY! If you do choose roommates in advance, only ONE roommate needs to go on the website first to link everyone to the same apartment. All roommate must have the same arrival and departure date in order to live together. One roommate enters everyone's housing ID number that you receive in the first DORMS e-mail into the system. Once they do this, everyone linked will receive an e-mail that they were linked. When the rest of the group logs into DORMS and gets to the roommates page, all they need to do is approve the group of people they were linked to. 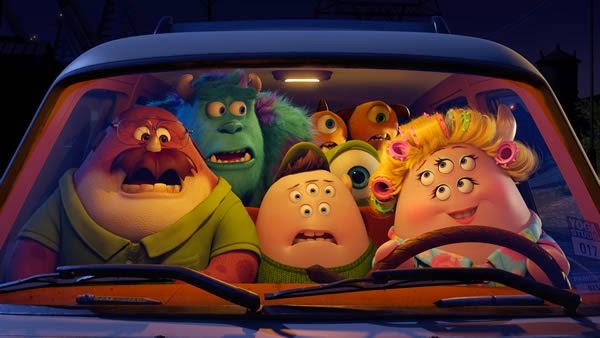 Choose your MIKE WAZOWSKI in advance to sign your team up! Everyone else just needs to click yes! 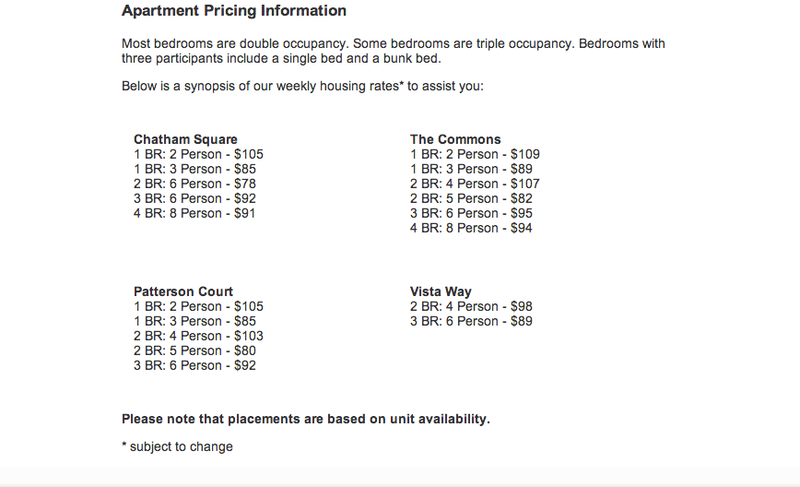 Rooms with three people in them are NOT designated triples, they are forced triples to accommodate an overflow of College Program Cast Members. If you do not want to be in a tight triple, do not put them as a high preference. However, keep in mind that these are only preferences. Disney in no way needs to give you your first choice. But if you're in the program, little things like that shouldn't matter when following a dream! Bunkbeds are completely manageable (MIKE AND SULLEY MANAGED THEM JUST FINE!) A few days before check-in (about 3-5), you'll receive an e-mail if you were placed in triple occupancy. Otherwise, it's safe to assume you will just be in regular double rooms. Be sure to print out your Housing Boarding pass to bring for check-in! If you can't do it immediately on the website, don't worry! Disney sends it it you in an e-mail! That's about it for DORMS! It fast, simple, and not at all like the MONSTROSITY of registering for a room in college! Higitus Figitus: Packing for DCP!